Today in Australia it is ANZAC Day – a time to remember those who died & fought in all wars & conflicts but also a time to reflect on their service. I cannot imagine having to go to war. I cannot imagine having one of my son’s go to war. I find it difficult to understand what leads people to have to conquer & dominate others especially through war. I do not understand those who seek to make others bend to their way of life especially through violence & destruction. I do understand the need to defend against those who would want to conquer another country & to hurt others. Within my family & my husband’s family we have had those who went to war to defend those who needed help. I knew most of these men. They were all the loveliest, kindest & humble men – war to them must have been very hard. Few spoke of the horrors, some spoke of the losses of friends, but all spoke of the great lifelong friends they made. The difficulties of facing & participating in war always take a toll. Here is a little of those in our family who served in both WW1 & WW2. Emanuel Wier was from the small western NSW town of Narrandera. He was my father-in-law’s Uncle, my husband’s Great Uncle. He was just 26 years old when as part of the 20th Australian Infantry Battalion in the Somme region of France he died ‘from his wounds’ on the 12th August, 1916. He is buried in the Heilly Station Cemetery, Mericourt-L’Abbe, Picardie, France He never married, never had children & I cannot imagine the horror of fighting in the trenches. His memory was honoured within his family when my father-in-law was named after his Uncle – Emanuel Weir. There are variations of the spelling of their surnames. I imagine this is because the actual spelling was Wiehr – of German descent. As with members of my family of German descent, they anglicised their names in order to join the armed forces in Australia. Those with German names were not allowed to sign up. Thus some became Weir & others Wier. Frederick James Shawman was my great great Uncle Fred – a kind, quiet & gentle man who was born in Iluka at the mouth of the Clarence River on the NSW North Coast. 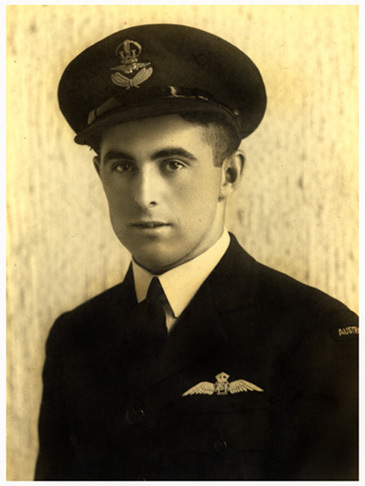 His Grandfather was the first pilot at Yamba, Frances Freeburn. His mother Jane was the first white woman born there. Like Emanuel Wier my Uncle Fred had to change his surname to join up to go to war he had been born Frederick James Schaumann. Uncle Fred never married nor had children. I remember visiting & talking with him in the little old timber house with the frangipani trees out front where he lived with his sister & alone in his later years. In his final years he lived in the RSL nursing home ion the Northern Beaches in Sydney closer to where he could visit his younger sister who we called ‘Aunty Biddo’ who lived in Manly. We would travel from the other side of Sydney to take him out & visit Aunty Biddo – two quiet & beautiful souls but with a twinkle of mischief in their eye. He came to stay with us once for a few days & it was then that he talked with my Dad about some of the horrors of his time in the trenches of France. We saw & heard the nightmares. 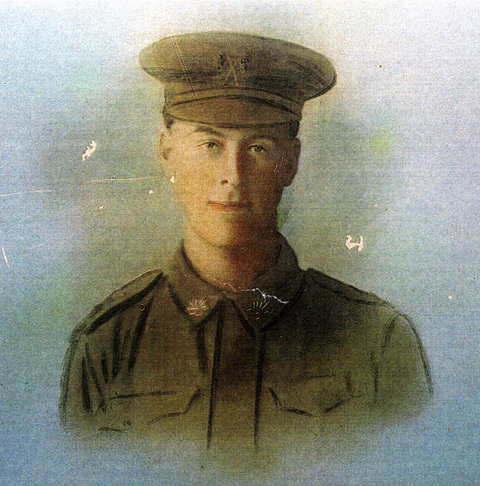 Fred Shawman was part of the 20 Infantry Battalion – 18 to 20 Reinforcements (November 1916 – July 1917) and the trench warfare they endured was horrendous. Arthur Stanley Gray was my Dad’s Uncle, his mother’s brother & my favourite great Uncle. My Dad was born & lived at Southgate outside Grafton on a farm in a small house. It was here where his Uncle Arthur returned after serving in New Guinea in WWII. Uncle Arthur was part of the ground staff building airfields both in Port Moresby & Milne Bay. He told us that as ground staff they were not allowed to carry rifles & the of the raids the Japanese would make on them. They would have to run to find places to hide from the armed nightly attacks. He suffered from malaria & severe dysentery and although this was recognised within his service his emotional distress was evident. We knew him as ‘bomb happy’ & but when he returned & lived with my Dad’s family it was my Dad who was woken at night with Uncle Arthur’s screaming nightmares. it Dad who would sit on him, holding him down til he could settle. The warfare & bombing had taken it’s toll. I remember every holidays visiting my grandparents in Yamba & of Uncle Arthur as a lovely man with a great sense of humour & fun who loved fishing with my Dad & grandfather. He loved his garden & always grew vegetables but he loved growing Hibiscus & his garden was always kept beautifully. He always made me smile & loved all of us kids. He had a daughter from his first marriage but later married Aunty Ena (nee Walter) who had served in the war as part of the WAAF. Donald Earl Vidler was my Mum’s first cousin & was a Flight Officer/Pilot in WW2 who was awarded the Distinguished Flying Cross – DFC. He was my second cousin & someone who we would see regularly as he lived in the Sutherland Shire not far from us. My memory of him is of a kind, genuine, caring and honorable man with a keen sense of humour and mischief. He was originally a Spitfire pilot but later transferred to Bomber command where he went on to fly Lancaster bombers. I have been told that was not a usual airforce career progression – once you were in either in fighters or bombers it was not often you transferred between them. He flew with distinction & I have told more of his service previously on this blog – click here to see the original post. The value of his service is highlighted also within the comments within that blog post where people knew Don both here in Australia & when he was in the RAAF in the UK, have added additional information & remembrances of him. Emanuel Stephen Weir was my father-in-law & he signed up & trained in the RAAF & served in the RAF in the UK in WW2. He was a quiet reserved man with a strong sense of duty. Like the other men I have talked about ‘Manning’ spoke a lot of the friendships he made, a little of his training but rarely of the harder times. He had trained in Canada & entered service in the RAF in the UK late in the war. But the training from all I have read was hard & often treacherous with many dying on the airfields of Canada before they even made it to fight in Europe. We have a lot of his memorabilia from that time & all of our three sons spent a lot of time in his final years with him. Our family – my husband, three sons & my parents all helped care for both Manning & my husband’s mother Judy in the last few years of their lives and it was a privilege to have been able to spend that time with them. They are very proud of what their Grandfather did in serving his country and will never forget him. Two of my son’s a few years ago when on a scholarship trip to the UK, took the time to visit the Wellington Museum at the Unit where Manning had spent some time. They went through all the memorabilia & spoke with one of the fellows there that would have served in the same area as their grandfather. I have written previously a little about Manning’s service – you can find the original blog post by clicking here. Well Done , Thank you very much for recording History. Regards Thomas.